Now that your models are imported, you can rename them appropriately. 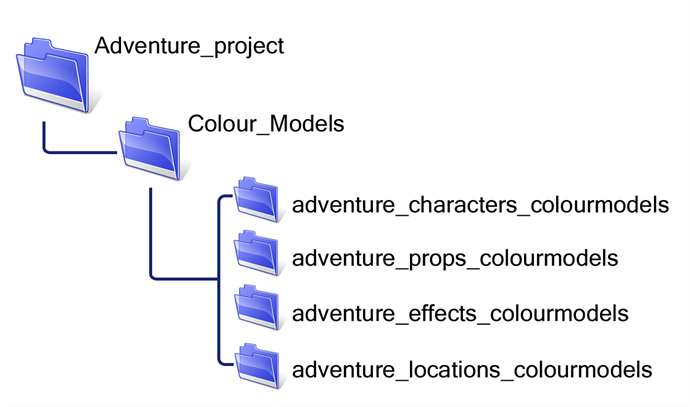 You should rename elements (layers) and drawings corresponding to the model. This will help keep the work organized and make it easy for others to follow. 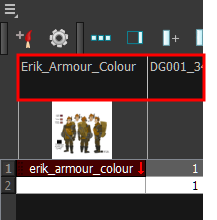 For example, if there is a black and white character model called Erik in one drawing element and its colour models in another one, rename your elements to include the character's name. 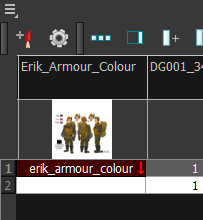 For example, the colour model for Erik's armour could be named: erik_armour_colour. ‣ In the Xsheet view, double-click on the column header of the drawing element. 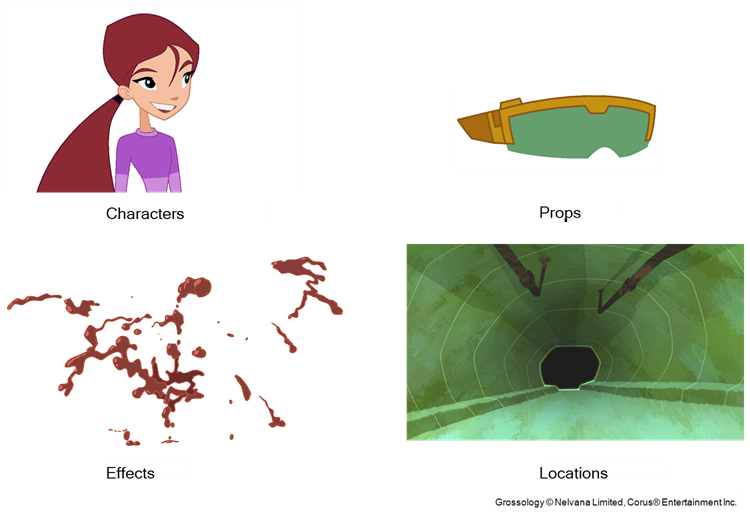 ‣ In the Timeline view, double-click on the drawing element's layer. In the Xsheet view, click on a drawing name. 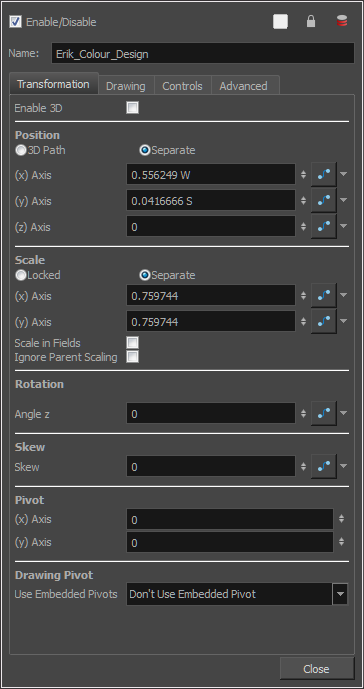 ‣ From the Xsheet view menu, select Drawings > Rename Drawing.